AirView was developed for use with Ubiquity surveillance cameras. These devices have a built in RTSP streaming server for getting the live video feed to (almost) every network enabled device. 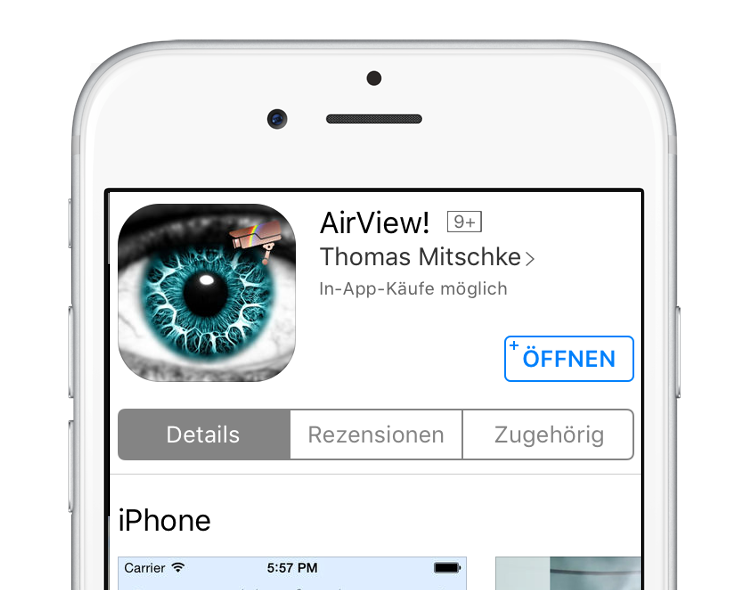 But you can use AirView also for streaming video from several other sources to your iPhone. Free sample video feeds are shipped with your app. There are several configuration options to fit your needs. As AirView! is based on FFmpeg it supports video over various transport ways such as: http, https, mms, mmsh, rtmp, rtsp and much more. Barcodes have taken an important place in our everyday life. Everywhere you look there are some of them printed on it. 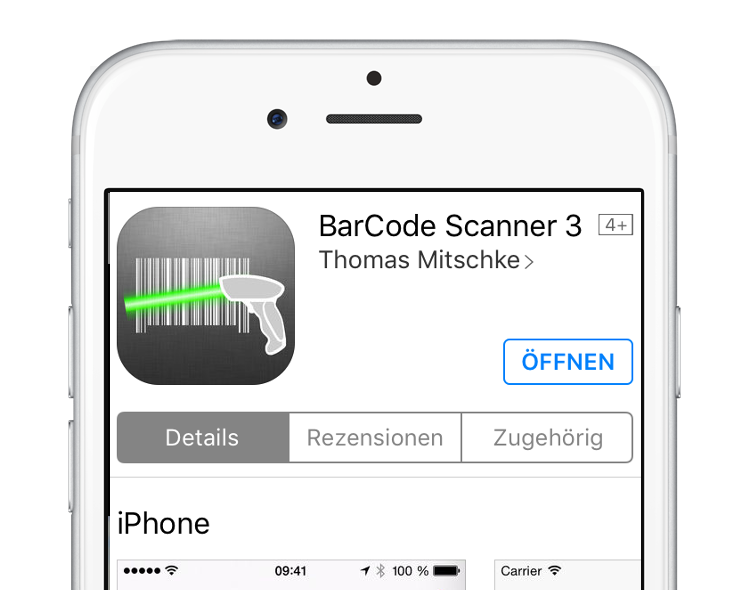 You can use BarCode Scanner 3 for scanning everything you want to have in text form. Other scanners use the scanned code to search for products within the internet. BarCode Scanner 3 does not! It catches the RAW data and displays it in text form. You can add/edit the content and share it via eMail for later use. This is very useful for example when doing an inventory of your stuff. 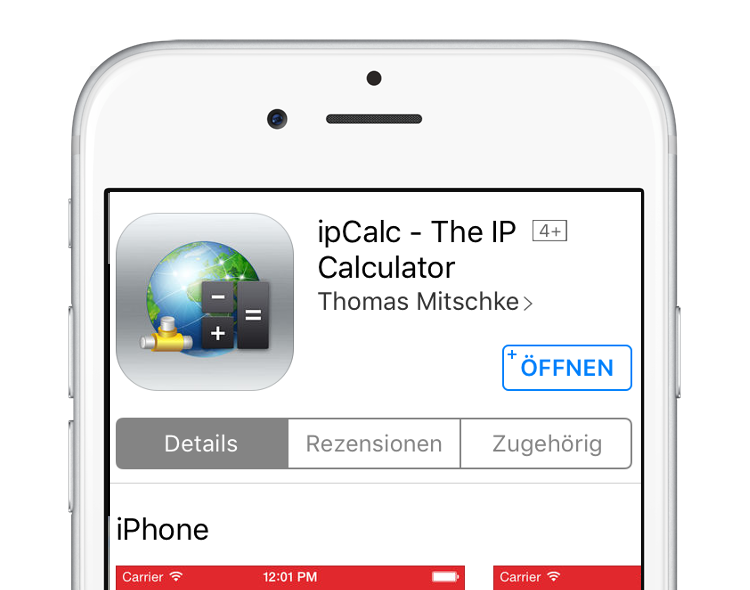 This is a simple and useful app for calulating the range of the host part of a subnet mask within an IPv4 network very quickly. You can (optionally) enter your client IP. Jumping between the fields of the 4 octetts can be done using the decimal seperator key for quick input. Then use the slider to set the subnet bits of your mask. The app shows you then details of your network, like client count, client range, network address, broadcast address and wildcard mask. There's also an information screen that shows you your IP addresses (LAN and Internet). A useful tool for every network engineer.